When you hear "equity compensation" and startups, you immediately think of stock options. More recently RSUs (restricted stock units that settle in company stock) have also been popular. But, what if you aren't the "sharing" type? Or what if your company doesn't have stock? LLCs are a good example. How does your business compete when it doesn't have access to the same tools? 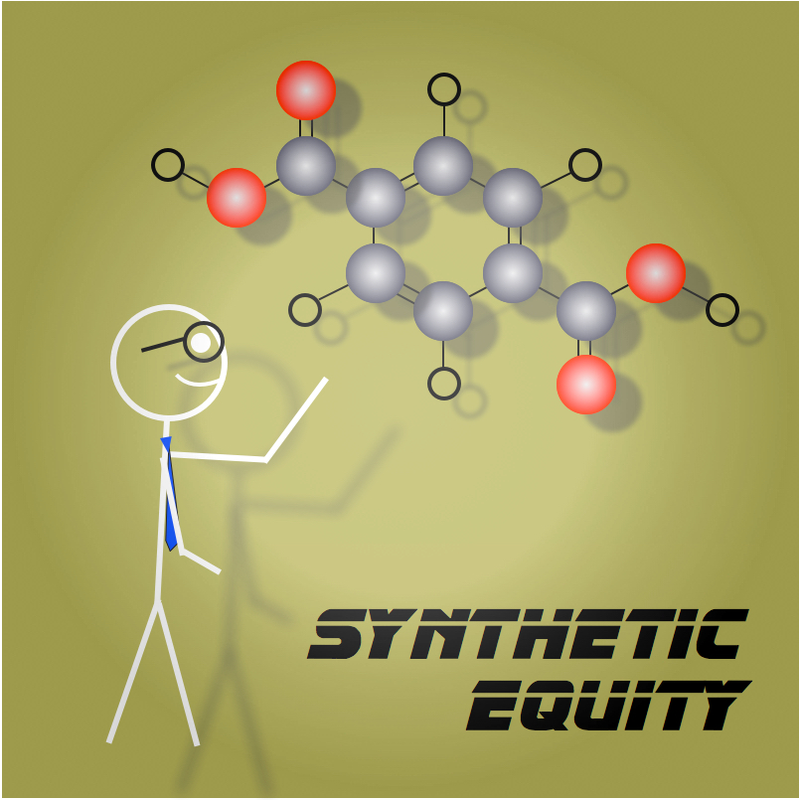 Synthetic equity is becoming an increasingly popular answer. Synthetic equity refers to any type of incentive plan where the value delivered to participants fluctuates based on the value of the enterprise. For corporations, the most common tools are Stock Appreciation Rights and Phantom Stock (usually restricted stock units that settle in cash.) LLCs may offer Profit Interests and Capital Interests. More obscure companies including some joint ventures and subsidiaries that cannot offer parent company stock even have synthetic equity compensation over a synthetic class of stock. Regardless of the company type, the goals are similar. Create compensation plans that are competitive with more "traditional" startups without giving away actual ownership. These synthetic equity awards fall roughly into two categories. Appreciation-only awards and full-value awards. SARs and Profit Interests are in the first camp. The individual receives a grant that gives them the potential to receive a portion of the increase in value of the company. These awards may allow for elective transactions similar to stock options, or the transaction may be automatically triggered by time or an event, much like RSUs. Full-value awards provide the holder with a portion of the total enterprise value. These awards are almost always transacted automatically based on time, the achievement of a performance goal or an event like a change in control. Regardless of the timing and amount of compensation, these awards have some expensive trade-offs when compared to more standard equity compensation. The company offering the award needs to have cash to cover the cost of the eventual transaction. These awards are poorly suited for companies operating at a loss, or still working on additional funding. Nothing throws cold water on a plan or company like spending money you don't have. These awards don't offer the same fixed accounting treatment as equity that settles in stock. Settling in cash means accounting for these awards as a liability. The compensation expense must be adjusted to match future expectations of payout. With growing companies, this can quickly get expensive. This can be helpful when you are underperforming, but let's face it; most companies aren't offering these awards with a goal of failing. Participants will need additional communication and education. There may not even be one synthetic equity resource for every twenty, or even fifty, resources about stock options or RSUs. Your company will need to fill the void. With the distinct challenges come some interesting benefits. If you are profitable, cash can be much more seductive and motivating than stock. Giving people real ownership in an LLC or S-Corporation may require them to claim a portion of the company's income and file and pay associated taxes. Synthetic equity can avoid this unappreciated risk. A lack of resources means far less misinformation. There are a ton of articles, data sites, and discussion boards for stock options and other common equity compensation. An incredible percentage of these include some, or all, incorrect information. With synthetic equity, you control the messaging. There is no need to deal with additional owners. It is best if you treat synthetic equity holders as if they were owners, but they won’t get to vote. Perhaps even more important, when they leave the company their ownership doesn’t hang around forever. You may be asking why there has been more interest in these programs. Equity compensation is complex enough, why add more cloudiness to the picture? Increasingly, successful companies are bootstrapped by founders who have their own money. Many industries allow companies to be profitable very early on. There is a movement by some companies to stay private for longer periods of time (including eternity). Lastly, many companies are finding that the tax rules supporting LLC are more enticing than those supporting C-corporations. Each of these issues slopes the game board toward synthetic equity. Because this is a blog article, and this is part of a long-running series, we can't go into more detail in this post. Please add your questions or comments below, and I will do my best to incorporate them into future articles on startup equity. Dan Walter, CECP, CEP is the President and CEO of Performensation. He is passionately committed to aligning pay with company strategy and culture and has been deeply involved in equity compensation for a long, long time. Dan has written several industry resources including the recent Performance-Based Equity Compensation. He has co-authored ”Everything You Do In Compensation is Communication”, “The Decision Makers Guide to Equity Compensation”,“Equity Alternatives” and other books. Connect with Dan on LinkedIn. Or, follow him on Twitter at @Performensation and @SayOnPay.